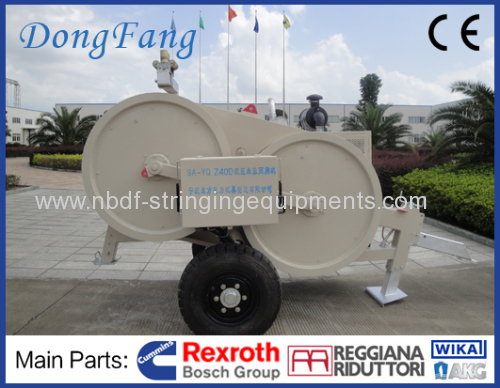 40 KN Hydraulic Puller Tensioner is widely used in overhead transmisson line stringing operataion. 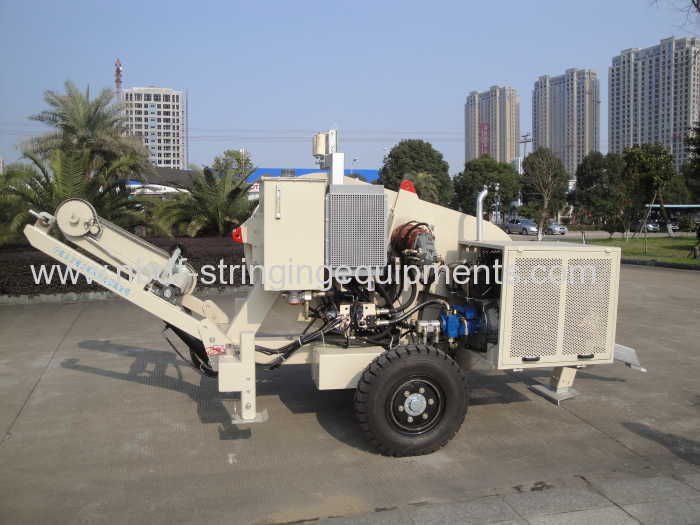 It is equipped with big bull wheels, big diesel engine and strong hydraulic pump and motor, optional hydraulic reel winder. It is used in OPGW stringing or change operation, conductor big crossing project, reconductoring operation in overhead power line maintenance. The machine can be designed with or without hydraulic reel winder. Application: The universal unit can serve as a tensioner or a puller as desired, for stringing various conductors or earth wires. 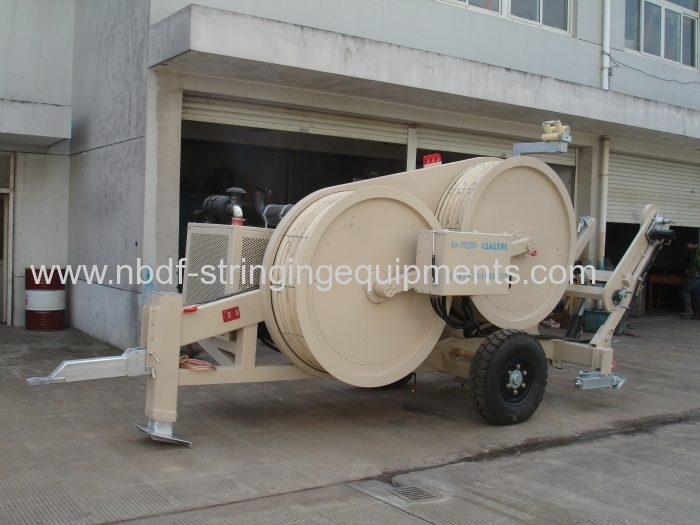 It is ideal for retrieving operation, by using the old conductor as the pulling rope. 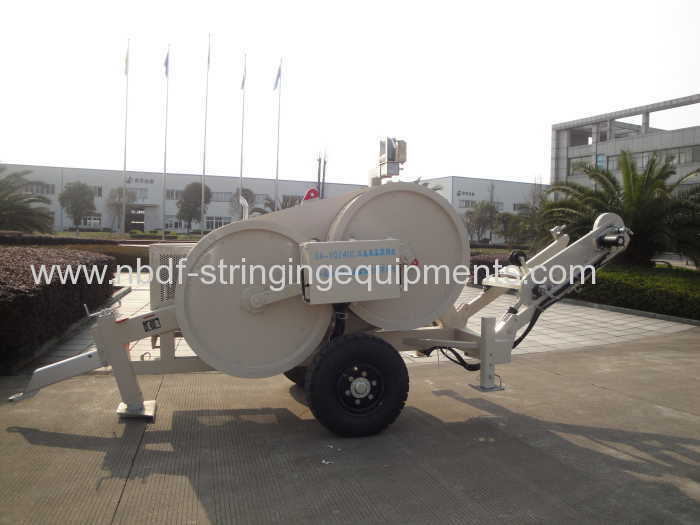 It is capable of stringing 1 or 2 conductors simultaneously. - With closed hydraulic circuit and variable displacement plunger pump, the pull/ tension force could be step less controlled. - With the radiator imported fromGermany, the machine has good heat dissipate performance. - With a negative spring applied brake, and automatic overload protection. 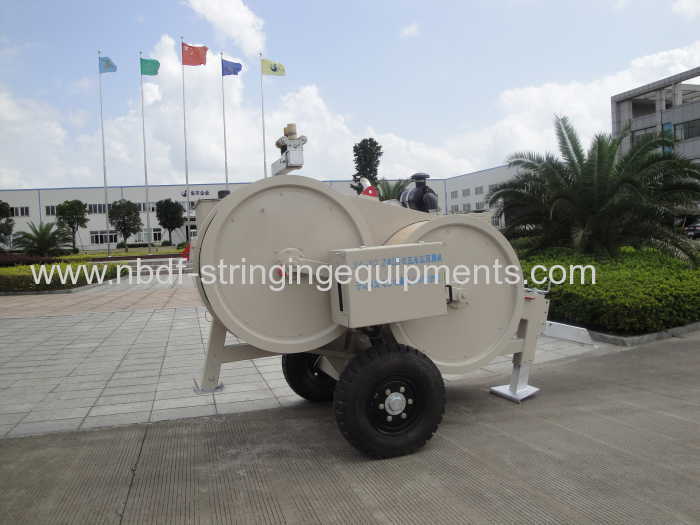 - With hydraulic power take off to power a take-up reel stand or steel rope take-up carriage. - Heavy duty R-tires with excellent shock-absorbing performance. l C type puller tensioner is equipped with hydraulic motorized reel winder. 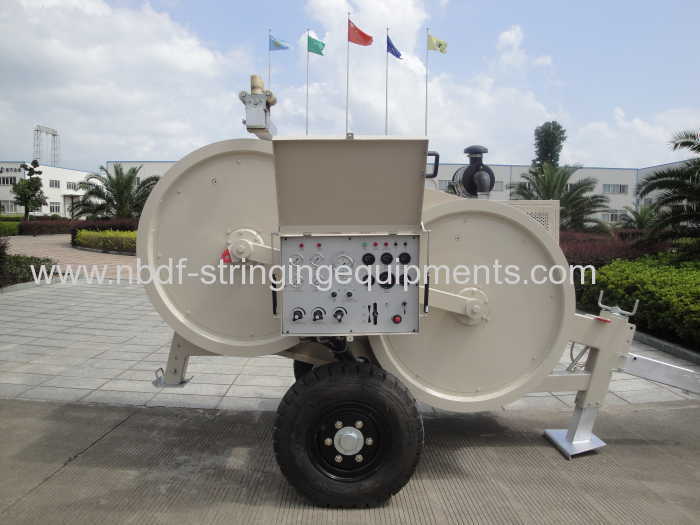 We have designed and manufactured whole series of Puller-Ttensioners for single conductor or 2 bundled cables stringing in transmission line construction. The puller –tensioner is a special stringing machine for conductor or OPGW stringing, overhead line maintenance, re-conductoring or OPGW change, and pilot wire rope stringing.